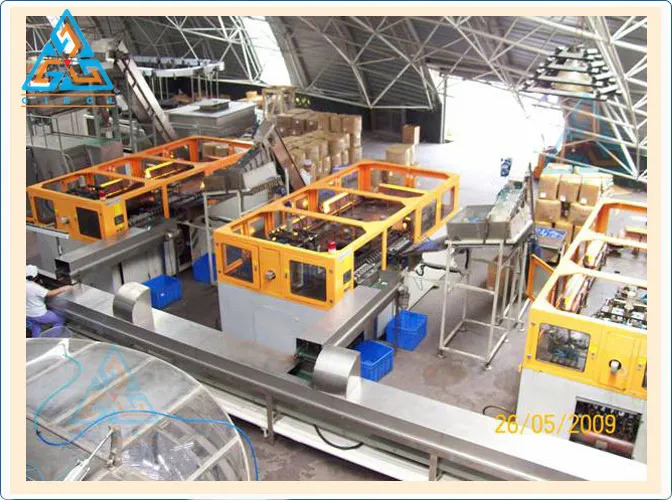 GIECL manufactures excellent quality Automatic PET Blow Moulding Machines for PET bottle production. Our Automatic PET Blow Moulding Machines have wider wide-mouth capability, faster production rates, and shorter changeover times. Also have features such as preferential heating or heat-setting capability. GIECL is one of the leading manufacturers of PET Blow Moulding Machines for PET bottle production. The beverage industry is expanding and the demand for pet bottles is also rising. GIECL manufactures excellent quality Automatic PET Blow Moulding Machines for PET bottle production. We cater to a large consumer base who belongs to the beverage industry. Our automatic pet blow moulding machines feature wider wide-mouth capability, faster production rates, and shorter changeover times. They also have features such as preferential heating or heat-setting capability. Our Two stage Plastic PET machines are capable of making two types of shapes of bottles- round and flat styles. This machine helps in achieving variety of PET containers like mineral water bottle, beverage bottle, cosmetic containers, pharmaceutical containers, pesticide bottle, edible oil bottle and many more to list. 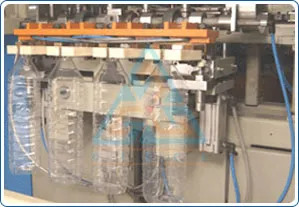 Our pet blow moulding machineries can produce various different shaped PET containers such as mineral water bottle, beverage bottle, cosmetics bottle, medicine bottle, pesticide bottle, edible oil bottle, milk bottle, juice bottle and many more types of Plastic PET Bottles. 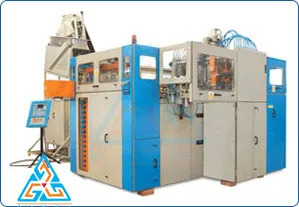 Thus our pet blow moulding machines can cater to various kinds of pet bottles. They come with both one and two cavities and they produce bottles and jars upto 5 L rates manufacturer at around 1200 bottles per hour. Blowing Air recollected in separate Air Reservoir before Exhaust. The same air is reused for all Pneumatic operations in the machine, practically eliminating the requirement of Operations Air, and thus reducing capital and recurring cost.